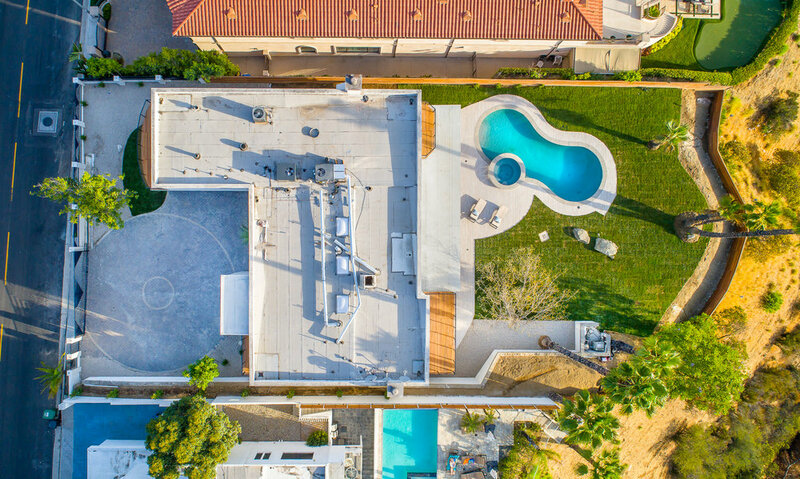 This Mediterranean redone modern gated estate is perched on top of Mount Olympus with breathtaking canyon and city views on a oversized flat view lot. From high vaulted ceilings with floor to ceiling glass, each room in this home is bathed in sunlight and charm. 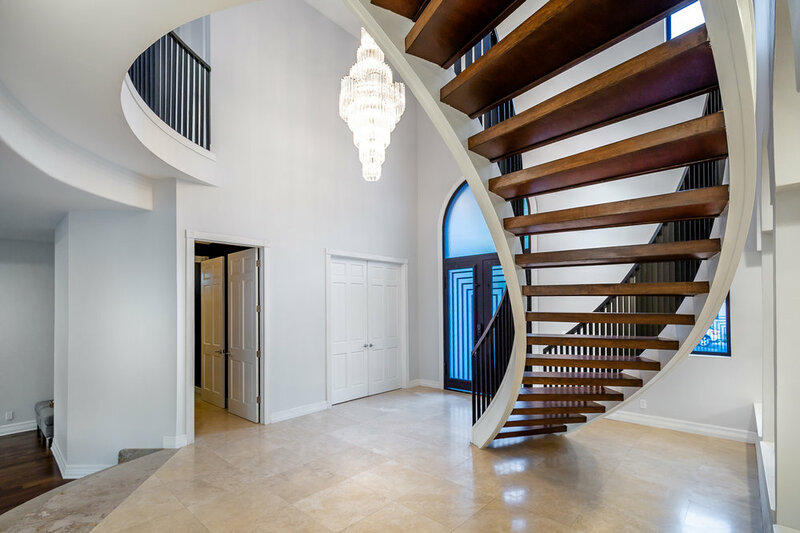 Enter this beautiful estate through a 10-foot-high custom iron door into a double height foyer. As you walk through the home you will find six en suite bedrooms that are separated from the living spaces to maintain privacy between you and your guests. 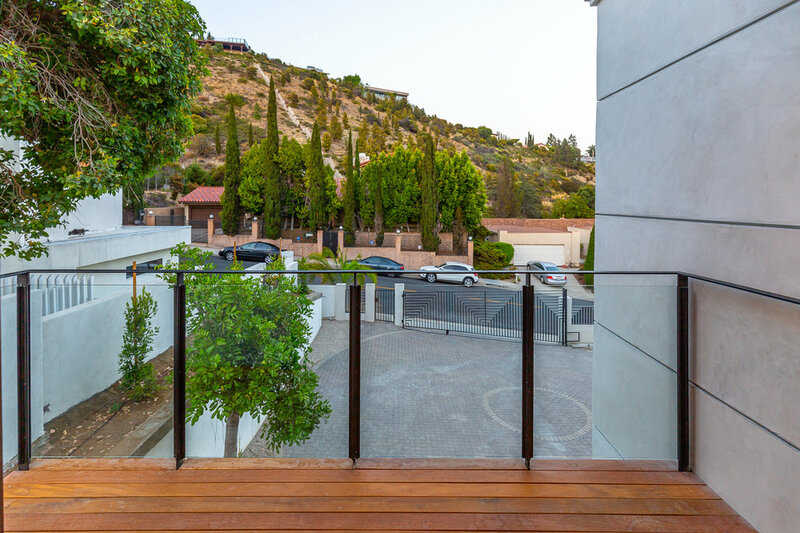 This home was thoughtfully designed, which is made clear from the luxurious master suite that includes a private balcony, a large walk in closet and a his and hers bathroom. The kitchen is an entertainers dream featuring a full range stovetop, stainless steel Sub-Zero refrigerator, and custom wood cabinets. Head outdoor and you won't be disappointed. There is a spacious outdoor area with a pool and spa and breathtaking canyon views. 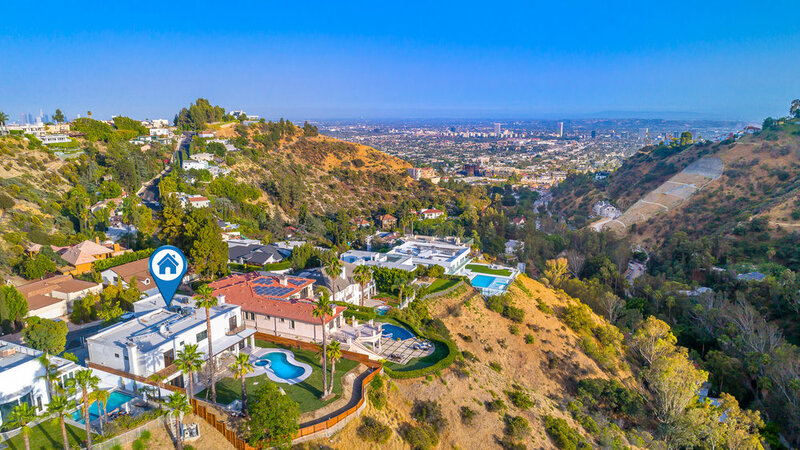 Located minutes from the Sunset Strip.